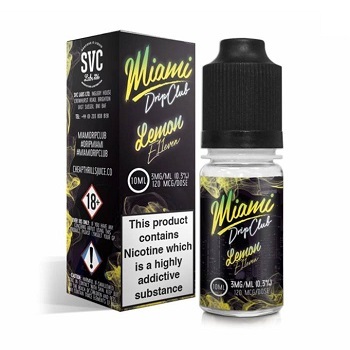 Yet another fantastic E Liquid from the Miami Drip Club Line – Lemon Eleven graces our vaping presence. This delicious Juice is a perfectly balanced blend of sweetness to flavour ratio, divinely blending sumptuous fresh doughnuts with a drizzle like Lemon topping. Extremely appealing to the desert loving Vapers out there.